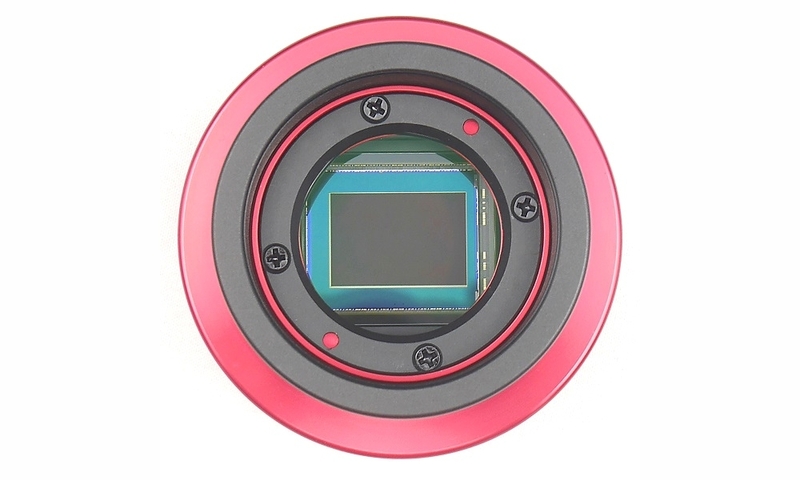 ZWO ASI294MC color is the USB 3.0 camera using the CMOS Sony 4/3" IMX294CJK sensor with 23.2mm diagonal, 4.63 µm pixels and 4144 x 2822 resolution. Thanks to fast USB 3.0 connection, ZWO ASI294MC is able to reach 16 fps at 14 bits or 19 fps at 10 bit at full resolution of 4144 x 2822! Sony IMX294CJK uses larger-sized pixels and it achieves SNR1s of 0.14 lx: this makes the ASI294MC camera ideal for astronomy applications that require low-illumination performance. The ASI294MC has a 14bit ADC unit, allowing it to achieve 13 stops of dynamic range. At 13 stops, the ASI294MC has even more dynamic range than the ASI1600. USB 3.0 port provides 5Gb bandwidth to let ASI294MC run at 16 fps (14bit, normal mode) or 19 fps (10bit, high speed mode) at full resolution (11.7 megapixels). ST4 port can be used connect with auto guide port of mount, for guiding.